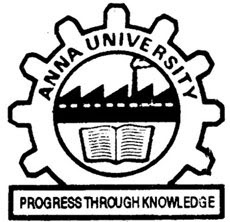 The Anna University results 2011 are now online for students. These are very important exam results for the Anna University of Technology at Chennai, which will help determine educational plans, careers and possibly alter summer plans as well. There is also some news available on the Anna University of Technology Channai Exam schedule as a change has been made to an exam's timetable. The 2011 exam results can be obtained for all students who took the particular exams for April and May of this year. Students simply head to the Anna University's specific result section, enter their registration or roll number and submit to get their exam score. The latest exams for Anna University include Distance Education and UG/PG Examinations for the Mark or Credit systems. The good news for those students who aren't happy with their initial Anna University results for 2011 is that there is a Revaluation process. It will cost some money but if done before July 13th, students have a chance to do better during Revaluation. The Revaluation costs 700 rupees, which is the equivalent of$15.75 in US Dollars, so not as daunting a figure as it may look. Anna University, known for its reputable educational programs in India, was officially split into six different universities between 2007 and 2010, including the Chennai University of Technology. The technology university in Chennai officially started on the 1st of February 2007 and is located in Tamil Nadu of India. There is news for the Anna University of Technology Chennai regarding an exam schedule change on the time table. An important note for students in the M.E. Computer Science and Engineering branch has also been announced online. The 241074 Soft Computing examination was changed from it's original schedule of 5th of July 2011 and will now occur on the 6th of July 2011 from 10AM until 1PM local time. Students should definitely make sure to take note of this so they don't show up for a test on the wrong date!